My friend and neighbor, Jim Latini, and I just returned from an evening fishing trip, just over the hill to Lycoming Creek. We went above the Delayed Harvest Section upstream from Powy’s Bar, along a section known as “Powy’s Curve.” The name originated from a curve on US Rt. 15 north of Williamsport, and back in the days of the old three-lane section on the hill to Summit Lodge or the curve below that, it was an area known as being potentially dangerous to travelers due to the number of vehicle accidents over the years. Now there is a four-lane that is destined to become part of the future Interstate 99. 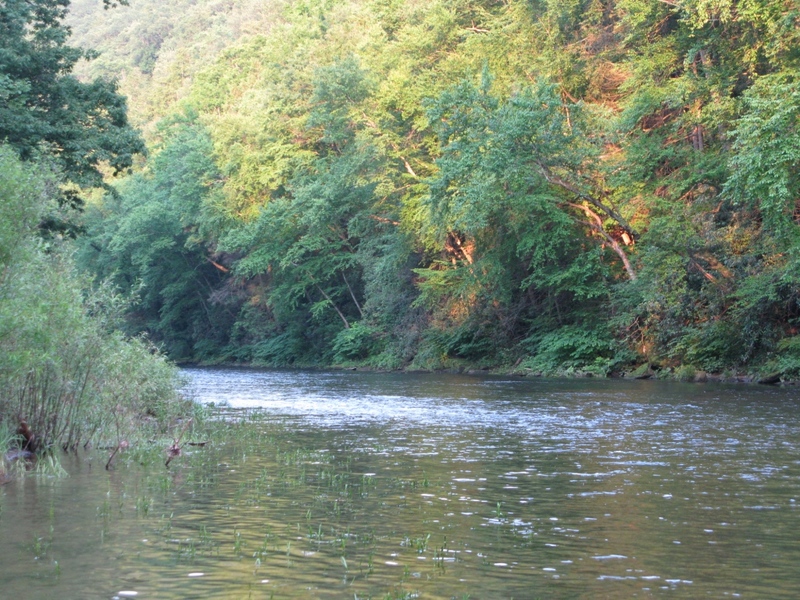 Lycoming Creek, downstream of this area, inside the Williamsport city limits was where I fished as a teenager with my fly rod before I was old enough to drive. That was mostly catching smallmouths, rock bass, and chubs. But those fish helped me learn how to cast and play fish on a fly rod. On a very rare occasion we would catch a trout. 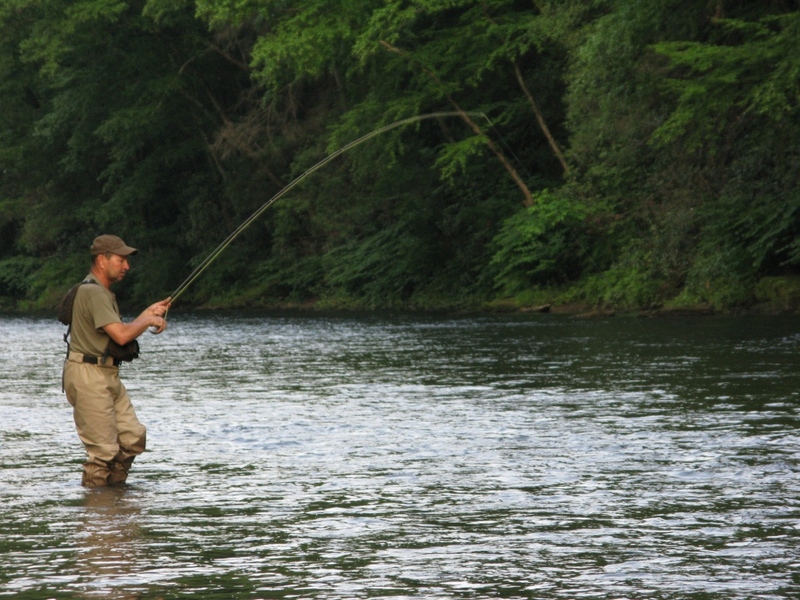 Lycoming Creek is not a known fly fishing destination. But parts of it are very picturesque and just plain beautiful. 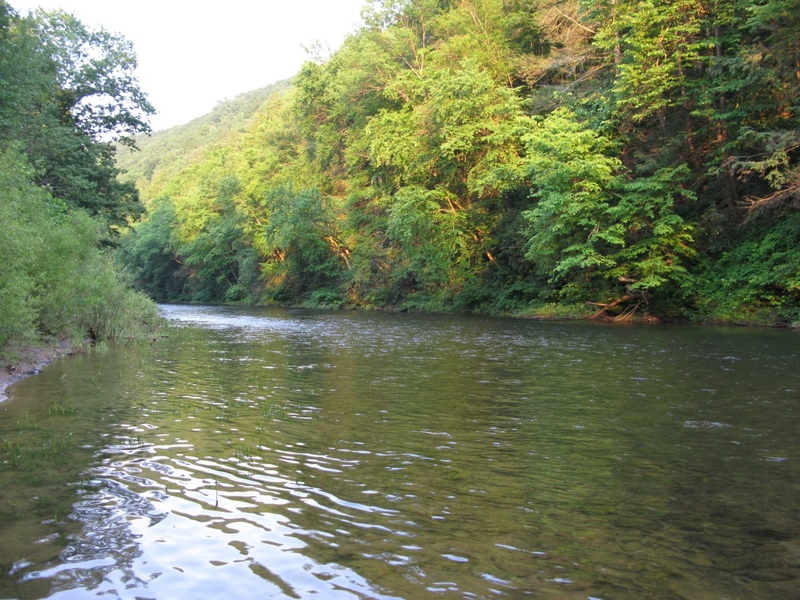 Historically, it had some great trout fishing, and it still has good fishing to offer. 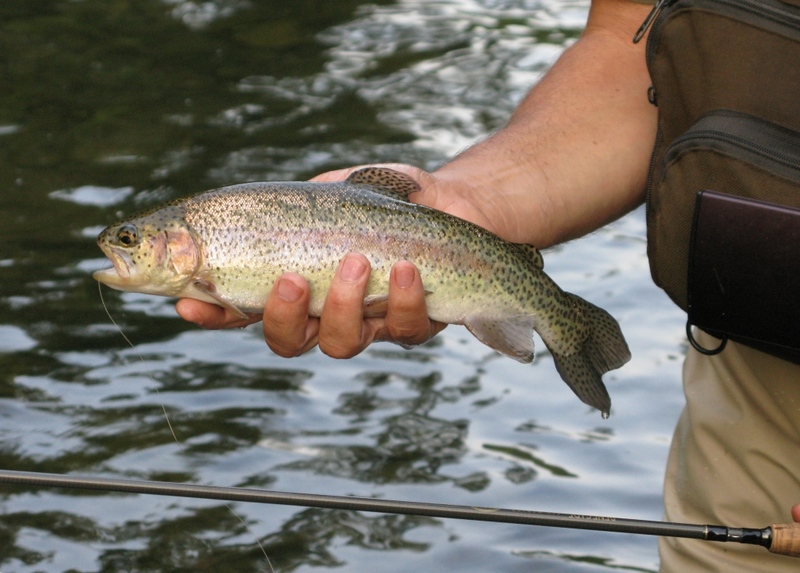 Presently it has a decent head of stream-bred browns, scattered brook trout, and the rainbows are stocked. A good diversity and healthy population of stoneflies, caddis, mayflies, and midges feed its residents. 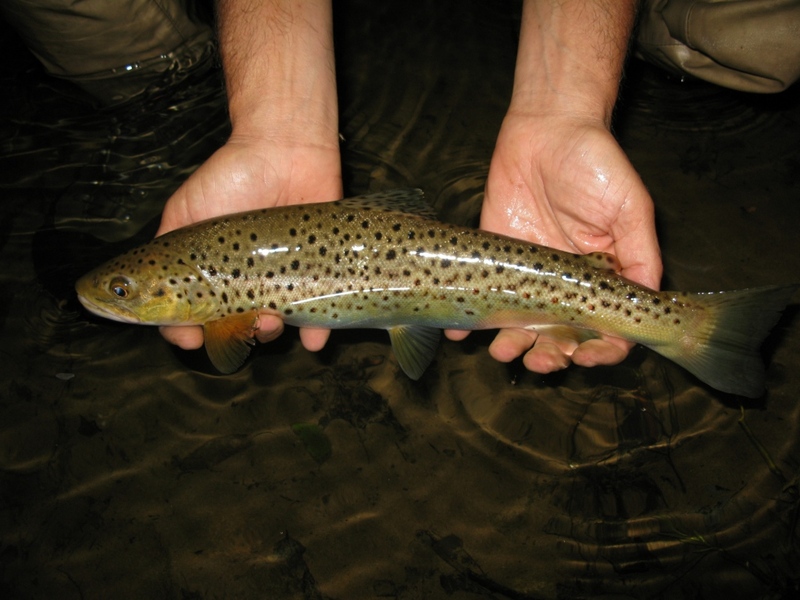 State trout stockings are augmented by plantings of larger, two and three-year old fish from a co-operative nursery near Marsh Hill called the Lycoming Creek Anglers Club. In the late 1800’s a man named Thaddeus Updegraff, a resident of Elmira, New York, who had also been an officer in the Civil War, wrote a book titled, Bodines, Or Camping on the Lycoming. I have a reprinted edition of that book, and it describes his fishing trips here, where they often stayed at a stream-side camp for a month or longer. One of these days perhaps I’ll see if I can post some excerpts from it. It makes for mighty interesting reading. Fast-forward to this evening. Jim called me this morning to see if I was interested in some fishing. You bet! He picked me up at 7:00 PM, even though he lives so close I could have walked to his house, wearing my hat and vest, carrying my rod and wader bag. This section of the creek is barely two miles from my house. These photos represent a nutshell version of our evening. This is primarily a photographic post. I hope you enjoy it! Jim tying on a fly. Cross-stream view where we entered the stream channel. There were a couple trout rising right away. Sweet! Upstream wide-angle view. No one else was fishing. And it stayed that way. We could see 3/4 of a mile of the stream. Playing it in. Jim has his FFF Certified Casting Instructor Certificate. He used to work for me when I was guiding. …that, once in hand, cooperatively posed for this portrait. Nice plump fish. As the evening progressed more trout started feeding. Extended Body Slate Drake Thorax Dun – my own design / pattern version. The hackle is clipped half-way between hook shank and point. It lands right side up every time. I rose 8 – 10 fish on it this evening, and brought three to hand on this dun pattern. The abdomen is closed-cell foam, so floatation is supreme. I designed the fly about 7 years ago. It’s a good fly. I’ll try to get the pattern on here in the next week or so. I am also going to be offering a series of five Slate Drake patterns of this design on MyFlies.com. Look for them soon. This is the first trout that took my Extended Body Slate Drake Spinner pattern. Sorry, I do not have a photo of that fly…yet. The fly is still in his jaw, you can see the leader, 5x. The last fish of the evening. I caught eight altogether; three on the dun and five on the spinner. 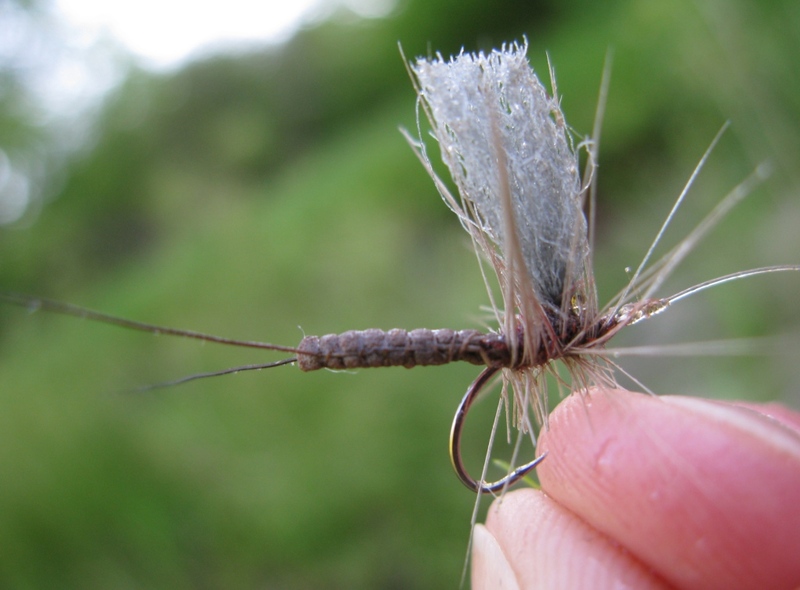 The hook is a size #14, but the construction of the fly with the extended body makes it about a size #8. Jim caught 5 – 6. He held this brown for a photo…it’s about a 15″ fish – there’s a better picture below. It was dark by this time, so I couldn’t see too well to pose the image. We didn’t make another cast after this fish was netted. It took less than five minutes to drive home. 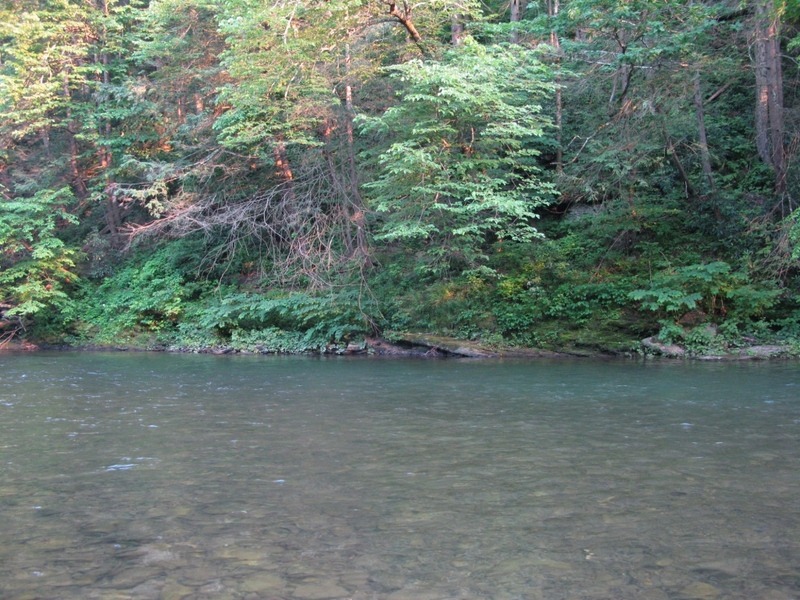 We are very fortunate to have good trout fishing so close to home. Nice! And we didn’t stop at Powy’s for a cold one. Maybe next time. This entry was posted in Fish Stories and Other Tales and tagged Lycoming Creek, Slate Drake, Slate Drake Extended Body Thorax Dun. I have a couple of streams near my house here in the N.C. Smokies. I agree, it’s a lovely way to end a day. Hi Ray, thanks for your comment! I’m glad you enjoyed the post! I was one valley over Don, on the ‘Sock Saturday. Same thing Slate Drakes I had my best day of the year !!! The lower section of the DHALO section is full of fish and every one seemed to want my slate drake comparadun. I’m anxious to see your patterns. I had the same success there last year. Even though the flood made a mess of the stream the bugs managed to survive. I also saw a hellbender in the stream. Some more rain and temps in the upper 70’s this week will give us another week or 2 on the freestoners. Good Fishin’ Don !!! Thank you for your comment and report on your fishing. You are correct on the temps and rain prolonging the good fishing that can be experienced around this northcentral area of Pennsylvania. Cool that you saw a Hellbender. I have a report on them from a Big Pine Creek trip on May 17th that I have yet to post. 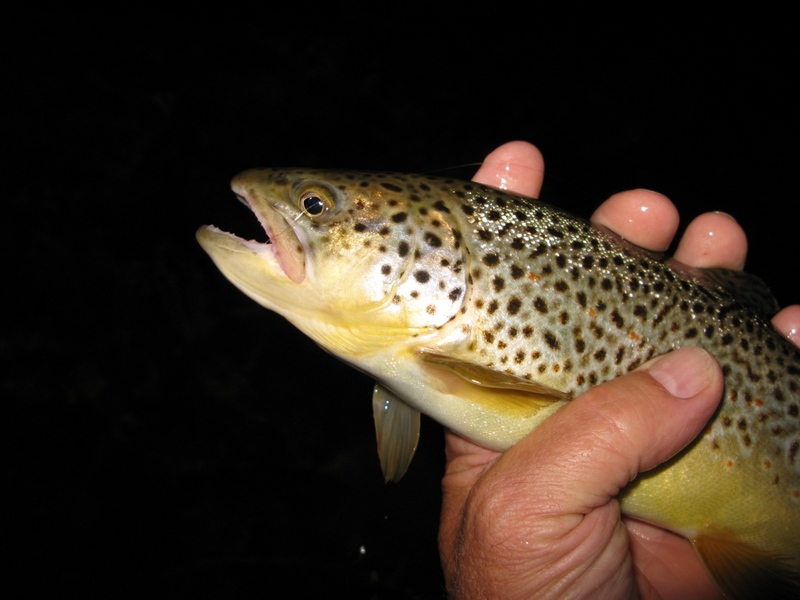 My best day ever there, ended the day with an 18″ and 19″ browns taken on my Slate Drake Extended Body Thorax Dun pattern…and hooked and lost a third big trout. That was a great day on the water. Someone else told me that there has been good hatches and trout rising on the Loyalsock, despite the severe flooding and devastation from Hurricane Lee last September. Thanks again for your comments! Don, this little event sure makes me jealous. It is 94 here with a real feel of 104. It feels like August…ugh. But when you are all snowed in, I will be fishing away this fall and winter…lol. Thanks for your comment Kelly. But maybe this winter we won’t be snowed in, like it wasn’t this past winter. 🙂 If that’s the case I can fish somewhere not far from home. So put that in your vise and tie it! 🙂 Ha, ha, ha! I hope to get back to Lycoming Creek, maybe this evening…but I also have a lot to do to get ready for the Annual Heritage Day Event for the Pennsylvania Fly Fishing Museum in Boiling Springs, Pennsylvania, this Saturday, June 16th. Maybe I should stay later and fish “The Breeches” while I’m there. Hey Bill, all you gotta do is drive up here. Bring Jack along, you can stay at the cabin. It is getting to the time of year when the fishing is best early morning, and in the evening. That leaves the rest of the day to tie flies, nap, drink beer, and shoot the breeze. Let’s do it! Don, just “discovered” the blog a few weeks ago, and I’ve been enjoying it very much. I read “Bodines…” about ten years ago when it was loaned to me, couldn’t remember the author. My favorite part of the book is his recount of the encounter with the “wild” hill-folk, and I was almost inspired to ditch the breathables and have a pair of woolen wading trousers made for me! Of special interest to me are your Pine/Slate/Cedar posts, as Phillip Tome is my 5x great-grandfather. I’ve visited the area, but as of yet haven’t had a chance to fish it. Sometimes the internet is just awesome! Not for the fact that you found my blog, which is very nice, but because of the history and connections that we have through all this. I was at the American Museum of Fly Fishing in Manchester, Vermont, yesterday, on my way home from some fishing, and while there, discovered Elizabeth Benjamin. She was a resident of Ralston, Pennsylvania, (right on Lycoming Creek), and she tied trout flies for sale. Apparently her flies were in high demand back in the day. I took photos of her work and they will be posted…the date of flies she tied was 1853! I have an original copy of Charles F. Orvis 1883, Fishing With the Fly, with a chapter written by Nessmuk, pen name of George Washingtoin Sears. I just might review and post the chapter he wrote about fishing the Spring Run of trout on Little Pine Creek in the 1870’s. 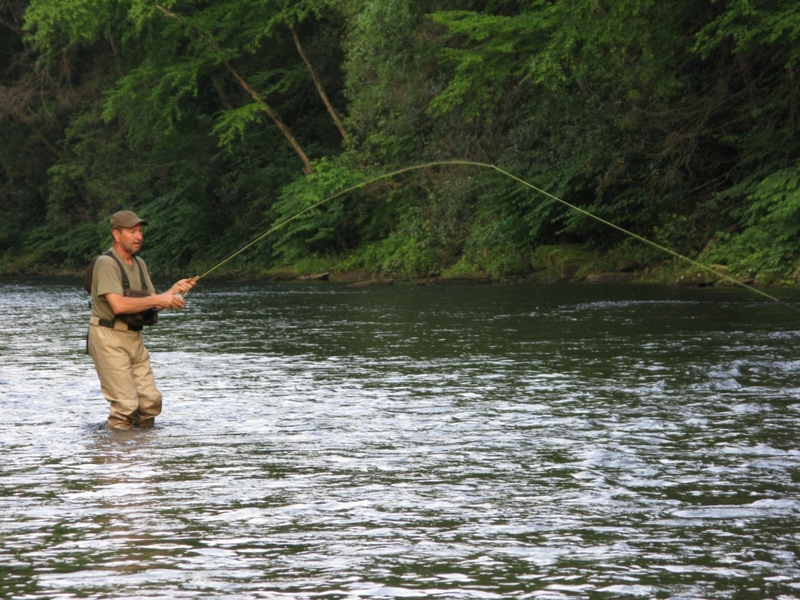 You should make plans to visit this area – we can get together and fish some of these waters that are part of the locales of your family heritage. That alone would make for a fun time and some good stories! 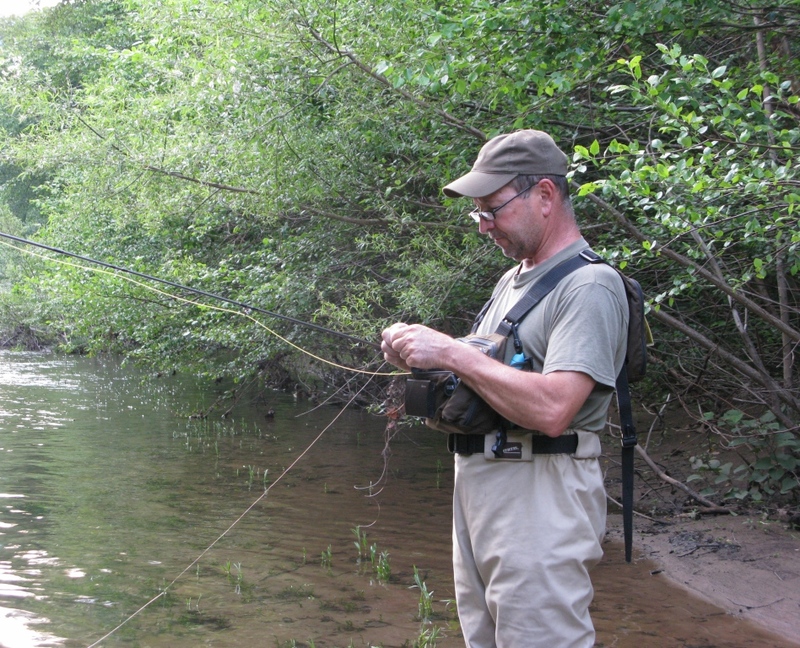 I plan to continue writing more of my regional area streams, flies, fishing, and history. I recently caught a tagged Palomino on the Lycoming in the Powys curve section – any idea as to the reason for the tag? 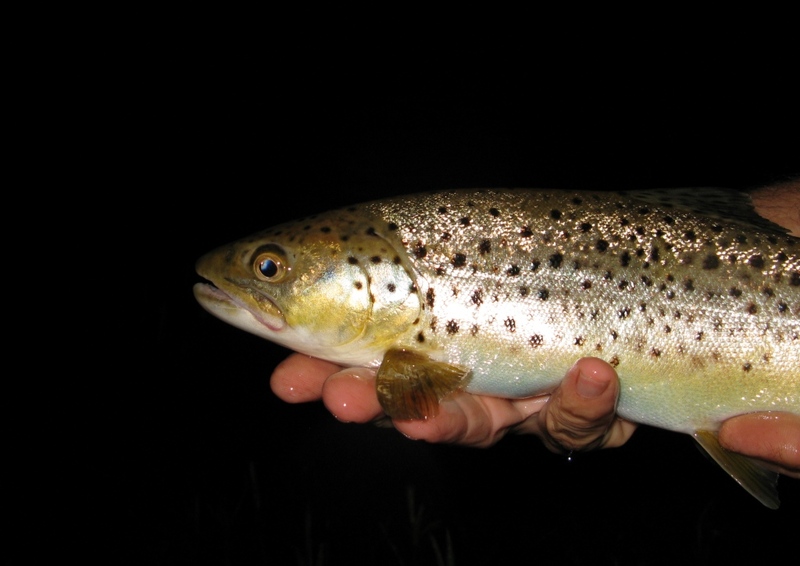 The fish was about 18″, very healthy and caught on a olive soft hackle emerger (7X tippet, good fight). The trout is back in the stream, tag still in place. Most likely that fish is a tagged Lycoming Creek Angler’s Club fish. They have had tagged fish / prizes for years and years. 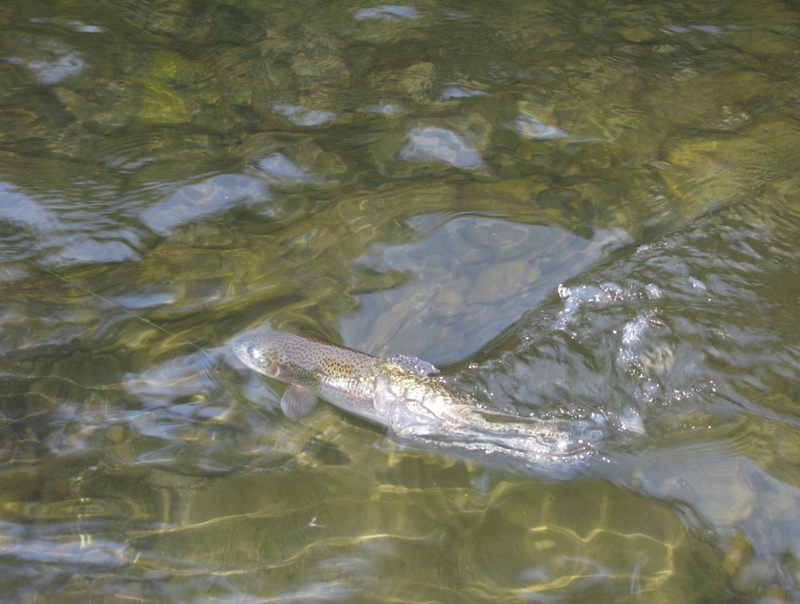 One of their tagged rainbows once ended up being caught in the Susquehanna River near York, 75 days after it was stocked. The fish went over 2 miles per day, for a total of almost 150 miles from where it was stocked.